Did you know that by having the right landscape it can increase the value of your home by 15%, allowing owners to recoup 100% to 200% of their invest. The key is hiring a Qualified Landscape Professional. 1. When hiring a landscape professional, remember to look for Quality, Value, Expertise, and Service, not just rock bottom price. 2. Ask if the Company is fully licensed to operate a business. Do they have a Consumer Affairs License, NYS Certifified Applicators Licsence, and Liability and Workman’s compensation Insurance. 3. Ask how the firm stays up to date with Industry changes. Companies that have membership to state and local associations such as Nassua Suffolk Landscape Gardeners Association or Cornell Cooperative Extension, mean the company is taking steps to stay current and informed. 4. Be specific on what you want and make sure the company is capable of doing it. Do they have the right equipment and qualified staff. 5. Ask for references. Make sure the firm is trustworthy and will follow through with the work to be done. Keep your lawn, shrubs, and trees well manicured with our weekly maintenance services. We also offer bi-weekly maintenance. Do you want a beautifully landscaped yard? Would you like to have an outdoor kitchen? If so, you have come to the right place. Our landscape and hardscape division can turn your yard into an outdoor dream. With experienced and licensed landscape contractors overseeing every landscape transformation. Every landscape job starts in the design phase. Many of our customers come to us with an idea of what they want for their landscape design, but others want to utilize our years of landscaping success to develop the design. Either way this process is critical to layout a budget and get an accurate quote. A landscape architect will work with you throughout the design and building stage to ensure your landscape dream becomes reality. Our skilled landscape architect will make your yard come alive for less than you might think. It’s what we call, “outdoor living at its best.” Our services include: paver patios, stamped concrete patios, stone patios, retaining walls, water features, outdoor kitchens, stone work, walkways, gardens, pergolas, rock gardens, fireplaces, fire pits, landscape lighting, waterfalls, pool areas, entryways and landscaping. We’re a full design, landscape installation and landscape maintenance company. Call today and have one of our design specialists come to your home and discuss the possibilities. We have found that most people are happily surprised at the landscape design ideas generated during the free consultation. Properly designed and installed landscaping can add tens of thousands of dollars to value of your home. Whether you’re looking for a small landscape remodel or an outdoor entertainment area we can help. 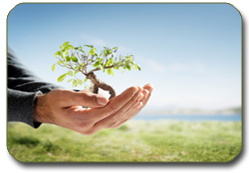 Tree Fertilizer – Tree and shrubs are alive. Like all living things they prosper with the proper nutrients. Tree fertilizer can be applied via deep root injections, on top of the soil and trunk injections. We can determine which method is right for your plant life. From installation of annuals to the complete redesign of your property, our Professional Landscape Designer can enhance your property to make it look its absolute best from one season to the next. Lawn care is one of our specialties, all applications are performed by specially trained Lawn Technicians licensed by New York State. O'Connell's Landscaping, Inc. offers a complete solution for all your snow plowing needs. We understand the importance of having parking lots and sidewalks safe and accessible during any weather condition. Join O'Connell's Landscaping clients and have a worry free winter whatever the weather. We will monitor your property before, during and after every storm to prevent any slick conditions. 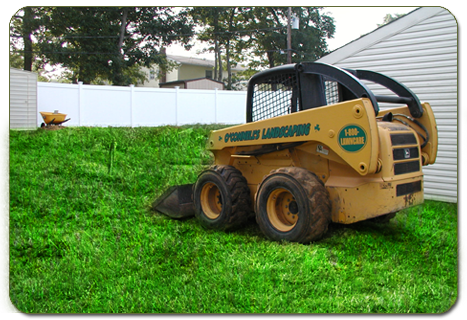 O'Connell's Landscaping, Inc. delivers the communication, professionalism, experience and results you need to make your property look its best. We are proud to work with condos, townhomes and private communities throughout Suffolk county, providing Weekly Maintenance, Planting, Lawn Care, and Snow Plowing. O'Connell's Landscaping's highly trained and uniformed maintenance team will put its unmatched experience and care into your property. Your landscape will in turn add value to your property, attracting the right customers and increase occupancy.